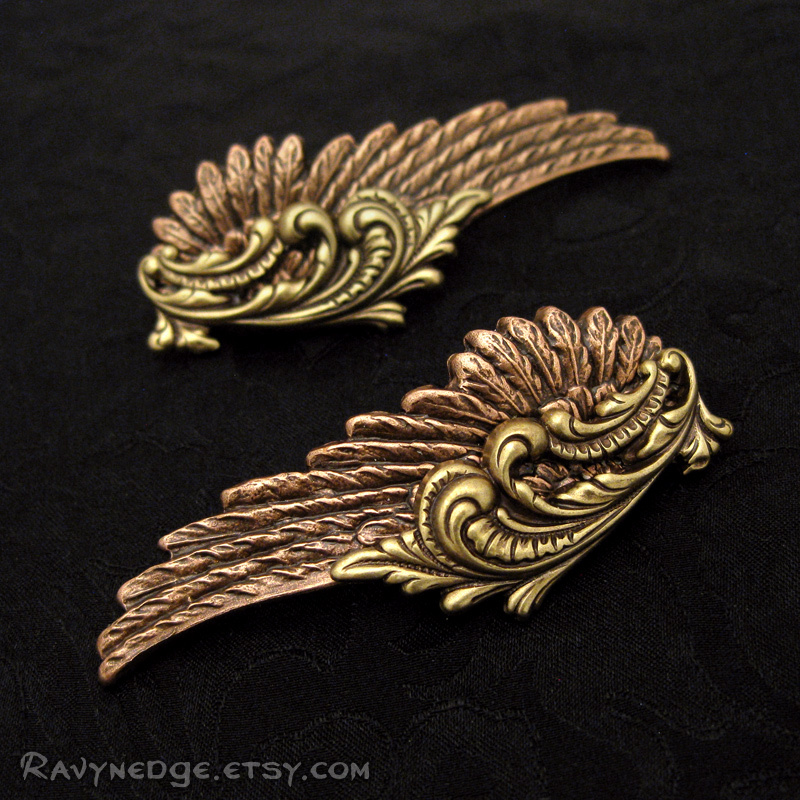 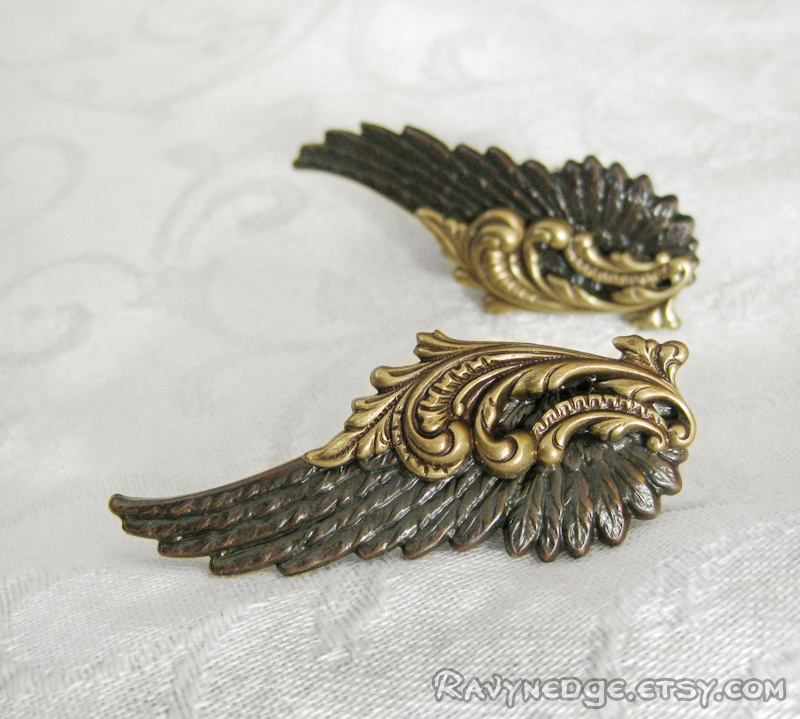 Zephyr Cuff Links - Mixed Metal Angel Wings Cuff Links by RavynEdge. 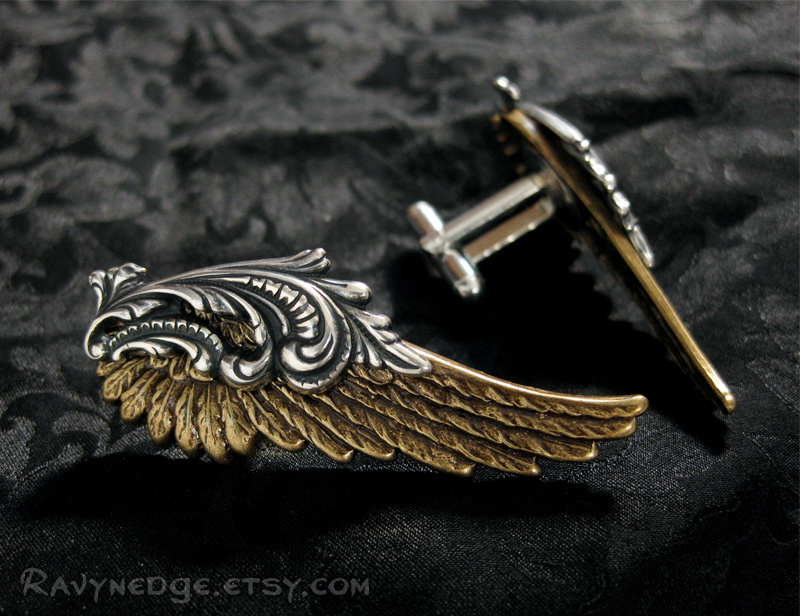 Ornate flourishes flow over extremely detailed angel wings creating a dramatic pair of cuff links that will definitely make a statement. 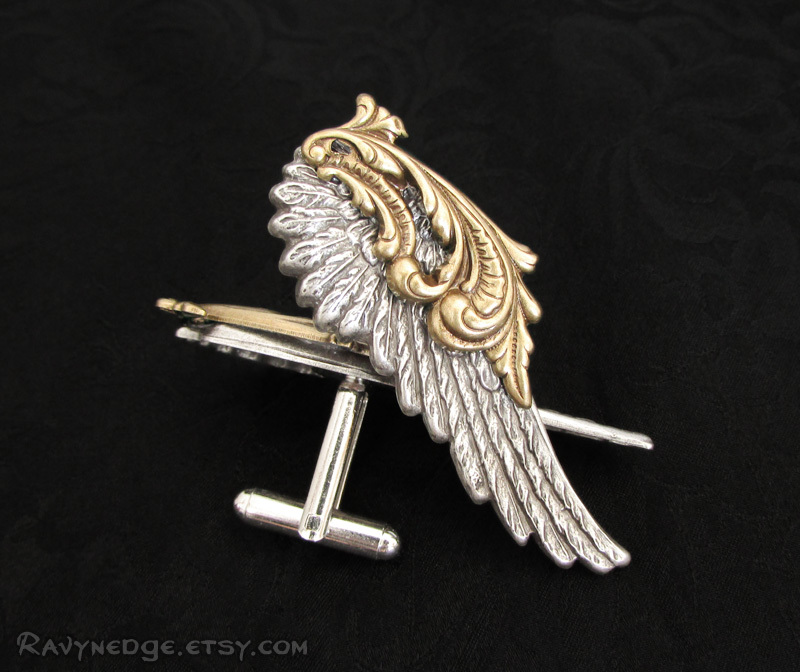 Each cuff link measures a stunning 52mm long and 17mm wide. 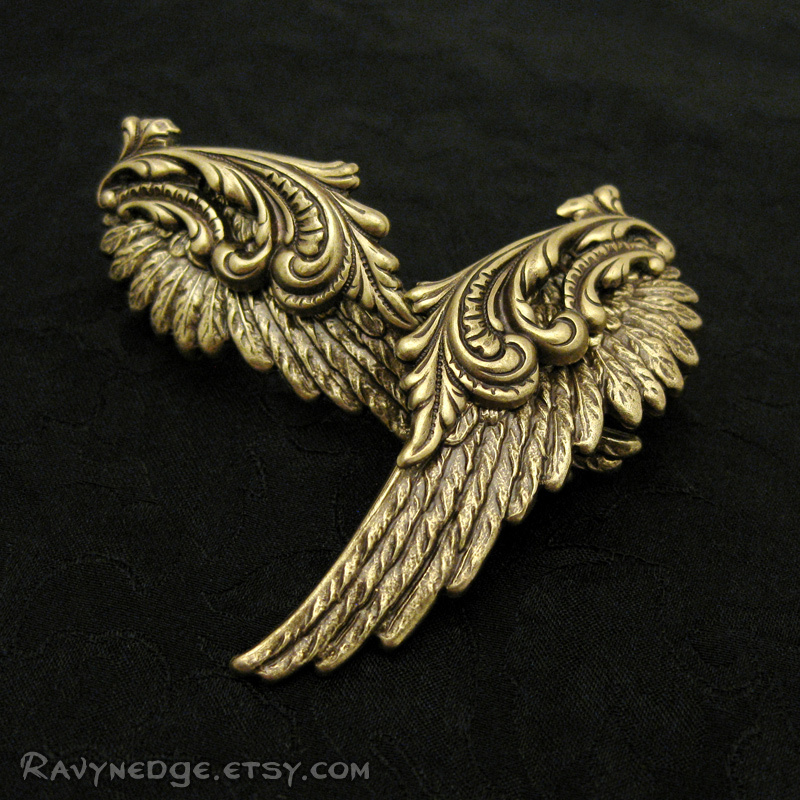 The wings and flourishes are brass, sterling silver plated brass, or copper plated brass, oxidized to bring out the amazing details.